In February 2018 I joined the faculty of the School of Marine Science and Policy at the University of Delaware as an Assistant Professor of Fisheries Ecology. My research﻿﻿ is broadly focused on how the abiotic and biotic environment and organismal biology interact to influence the behavior, distribution and ecology of species, and how these interactions impact their population dynamics, life history strategies, and ecosystem roles. 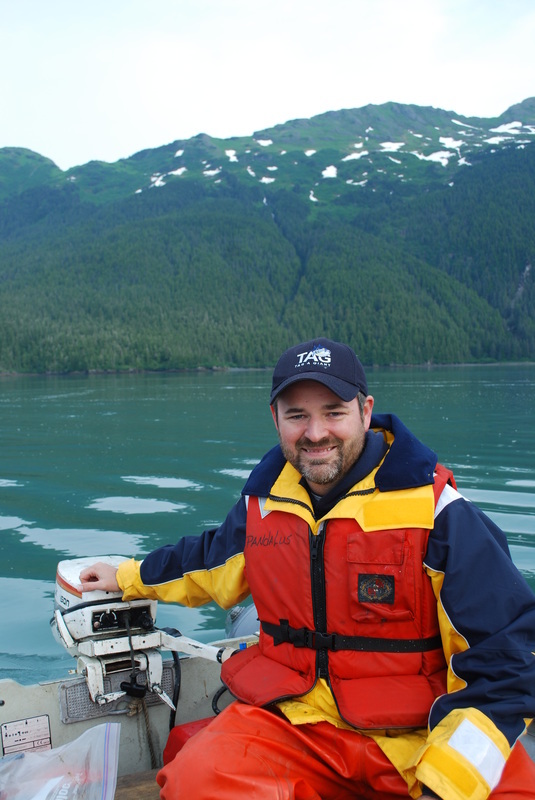 I use a variety of approaches and technologies, such as stable isotope analysis and biologging, combined in new ways to provide unique insights into marine species. I am also a member of an international research consortium that is employing a variety of advanced biologging, drone and oceanographic technologies in the British Indian Ocean Territory (BIOT) marine reserve, a large marine protected area in the Chagos Archipelago in the central Indian Ocean, to study how reef and pelagic predators use the archipelago. Our research aims to improve management and protection of this relatively pristine habitat, one of the largest marine protected areas in the world. I remain an active member of the IUCN Shark Specialist Group (Northeastern Pacific Region). I conducted my postdoctoral research at Hopkins Marine Station of Stanford University and with the NOAA Environmental Research Division in Monterey, CA. As a postdoctoral research fellow at Stanford, I focused on the trophic and spatial ecology of marine fishes, in particular elasmobranchs (sharks, skates and rays). 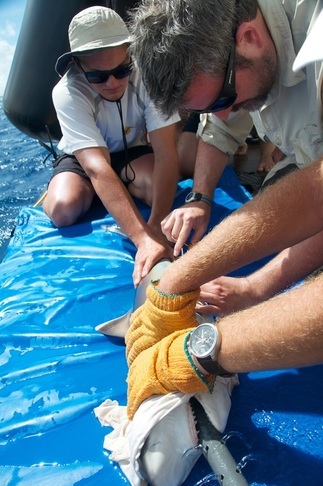 In my role as a National Research Council Postdoctoral Research Fellow (2014-2016), I worked with the NOAA Environmental Research Division to study the thermal physiology of lamnid sharks, as well as the effects of the Deepwater Horizon Oil Spill on Atlantic bluefin tuna. I also had the opportunity to participate in a unique, citizen-science-driven collaboration between Stanford University and the International Game Fish Association when I served as the scientist for the Great Marlin Race (IGMR) in 2013. While completing my Ph.D. research at Stanford University on the ecology of pelagic sharks, I was a member of the Tagging of Pacific Predators (TOPP) project and the Tuna Research and Conservation Center at Hopkins Marine Station of Stanford University. 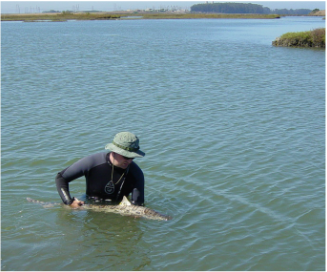 As a Master's student and member of the Pacific Shark Research Center at Moss Landing Marine Laboratories, I studied how elasmobranchs use Elkhorn Slough, an ecologically important, but highly altered, estuarine ecosystem in Central California that serves as a nursery area for a variety of fishes and elasmobranchs. I received my A.B. degree in Ecology and Evolutionary Biology from Princeton University.